Managing your own YouTube channel and sharing engaging video content with your audience may seem both exciting and profitable. However, along with creativity and innovation, it requires a great deal of hard work. It can be disappointing if your videos don’t get the attention they deserve and you watch your audience melt away with each passing day. Why does this happen? What are you doing wrong? Several factors may be at work here. However, for the most part it all comes down to having a smart logo and watermark. Let’s find out how to design a winning logo for your YouTube channel. People love brands. We fall for things that have distinguishable characteristics. Over 40 percent of respondents believe that an effective logo is one that evokes direct associations with the industry in which you’re involved. If you’re already making content, you must have an idea of what an appropriate image for your YouTube logo will look like. With YouTube logo maker Logaster, you can enter a keyword related to your industry and choose from dozens of options. 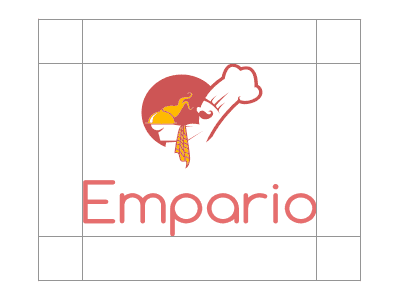 Here are some icons that might be good choices for a cooking channel. If you’re struggling for ideas, simply select your industry from the drop-down menu in Step 1 of your logo-editing process. Steer clear of your favorite colors and shades that are trendy. Your personal preferences, let alone trends, can change over time. The only thing that remains constant is the meaning behind your color. In YouTube logo design, there is no such thing as “popular colors”. Channel owners use a diverse spectrum of shades. To pick a color that captures the essence of what you’re doing, read about the psychology of colors and think about the emotions you want your video content to evoke. Online logo maker Logaster gives you a great opportunity to play around with the color scheme of your future logo. Your icon doesn’t have to be single-colored. At the same time, you don’t want to clutter it with multiple hues. The best solution is to use one to three shades. Avoid contrasting colors if you don’t want your design to look superficial and confusing. If you want to add text to your logo, use either your channel/company name or your slogan. By doing so, you’ll make your channel easily associated with what you’re doing. Plus, you will keep your design clean. Choosing the right font is a task not to be taken lightly. There are plenty of things to consider. In our article “How to Choose a Font for Your Logo”, we’ve covered how to pick the best font for your business. Check out the most important tips below. When picking a font for your design, make sure it will remain easy to read when scaled down. Avoid fonts that turn your logo text into a blurry stain. Whimsical, over-the-top fonts may affect the way customers perceive your icon. Simplicity and cleanness go a long way in creating a visually appealing design. All elements of your logo must tell a consistent, coherent story. To achieve this, choose a font that matches your icon. If you have a text-based logo, it’s better to stick to one font to ensure readability. If you must visually separate your channel name from your slogan, you can use two fonts. However, make sure they match and are legible. Click “Create Logo” and start with Step 1. In this step, the best thing is to point your Youtube channel name. As often the logo can be used as a watermark on your videos at once being an instrument of promotion and boosting traffic to your channel. Choose the logo you like from the suggested ones and click “Preview and Download” to save the logo in your account and/or proceed to purchase. All suggested logos are ready for downloading. However, if you want to edit some elements of your favorite logo: font, color, size, location, etc., click on “Edit logo”. At long last, your logotype is ready. If you are sure of it, then it’s time to purchase it, if not – just save the logo, think over the design and come back to editing. Also, you can “try on” the logo by downloading it for free in a small resolution. How to do this, read here. Watermarks can be a big nuisance to your audience. Our tips will help you dodge common pitfalls and craft an elegant watermark. When it comes to creating an attractive and memorable design, minimalism is everything. Avoid cluttering your logo with too many details. Two or three elements, your channel name, and your slogan (optional) will be more than enough. Take the time to find the right place for each element on your design. A carefully thought-out lock-up can be a huge factor in your channel’s success. Leave white space between and around the elements to make your design look clean and easy to read. You can use a logo in PNG (with transparent background) and JPG raster formats for your YouTube channel. Perhaps in the future, you will use your logo for other sorts of advertising, so you need to save it in the vector formats too ( it allows you to scale a logo to any size without loss of quality). As already mentioned, it’s not uncommon for a logo to be used as both a channel avatar and a watermark on your videos. In fact, you can use any image as a watermark by adding it to the lower right corner of your player. 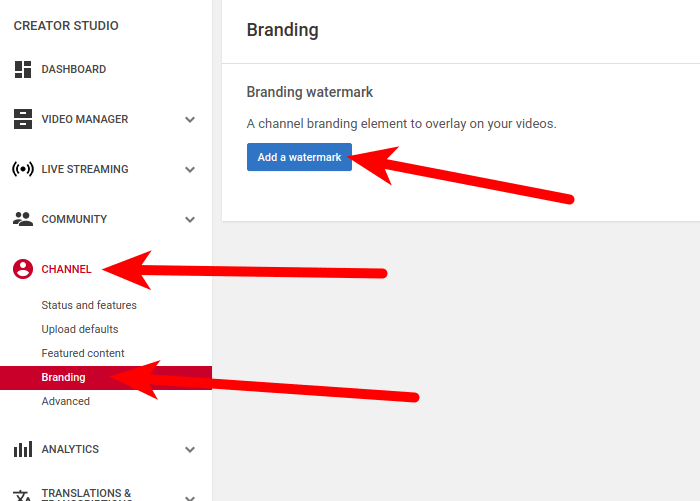 Your watermark will be displayed only to users who are not subscribed to your YouTube channel. This turns your watermark into a major traffic generator. By clicking on your watermark, users will be taken to your channel. The way you brand your YouTube channel makes it cohesive and memorable. 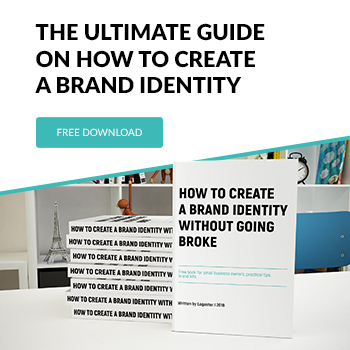 With Logaster, you can get started on your visual branding right now. We hope you find this article helpful. Keep yourself inspired. Create engaging videos with catchy logos from Logaster.com!